My continuing search for Caravaggio brought me to the Palazzo Doria Pamphilj on Via Corso, where I came across, two paintings which showed yet another facet of Caravaggio. This Palazzo is still the home (they live in a part of it) of the Doria Pamphilj family, one of Rome’s most illustrious. The family is descended from Pope Innocent X Pamphilij, to whom is credited the beginning of its fortunes, while Prince Camilo Pamphilij is credited with collecting a considerable portion of the art, paintings, bust, statuary, including the incorrupt body of St. Theodora and the relic of St. Justin (which you can actually see in the palace chapel) found in the palace today. The picture gallery of the Palazzo Pamphilj extends around a lush courtyard and the paintings are stacked one on top of each other and side by side. Contained in this collection are many masterpieces and among these, you find two of Caravaggio’s earlier works, The Repentant Magdalene and Rest on the Flight Into Egypt. 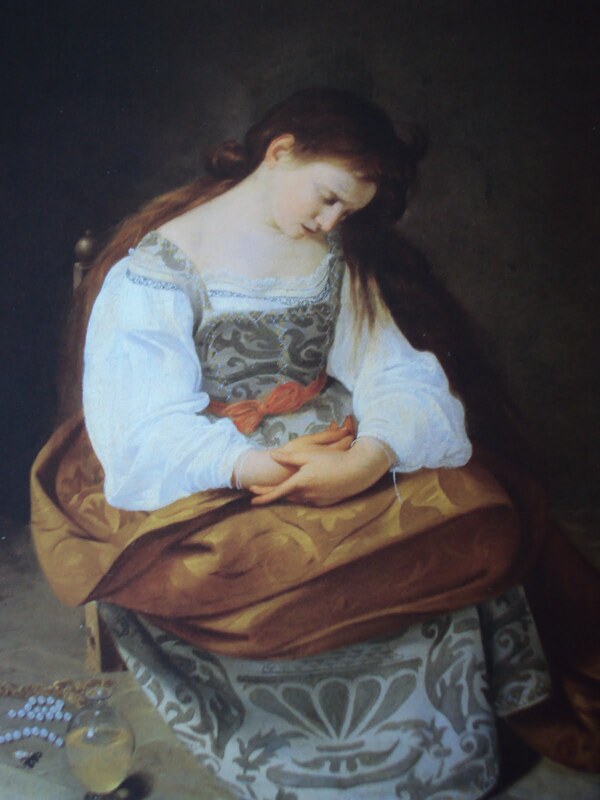 The Repentant Magdalene (1594-1596) Despite commentaries on this painting identifying it as Mary Magdalene because of the long hair and the vessel of oil on the floor beside her, I see it as a painting of a young girl in tears over a set of broken beads, the portrayal of this is done so movingly, so touchingly, making one witness .... remember? rather poignantly, heartaches of the very young. The scene is peaceful, and tranquil despite the tears. The colours though vivid and bright are soft. Even the shadows are subdued. The subdued tone displays the delicacy of the emotion which paradoxically for me at least, comes across as more intense than the dramatics of his later paintings. Rest on the Flight to Egypt (1594-1596) This is Caravaggio’s first painting of a biblical subject. It features the Holy Family resting on their way to Egypt, as they flee from Herod. 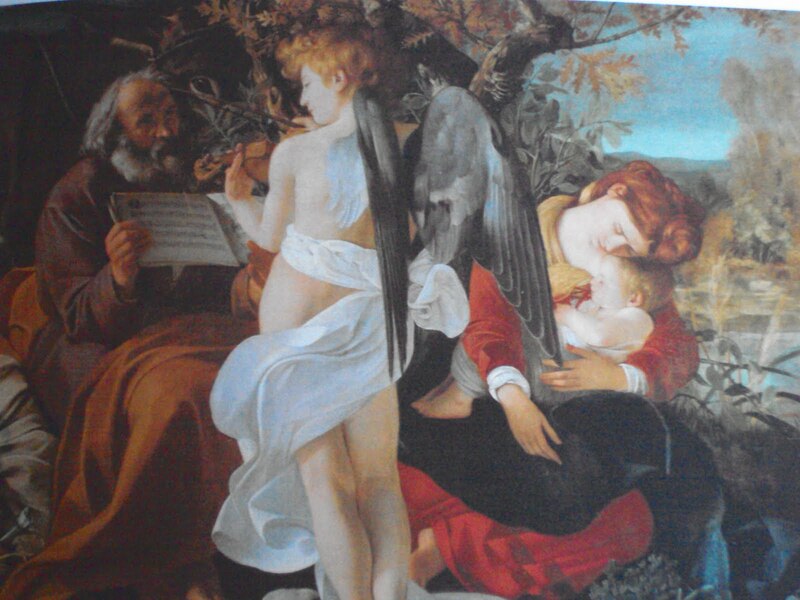 It shows a peaceful, tranquil scene with Mary and the Child sleeping while an angel plays the violin to a score held by St. Joseph. They are sheltering under a tree surrounded by foliage that is detailed, accurate and very delicate. The background landscape is very naturalistic, the colors are soft and shadows subdued. After seeing these paintings, I came across additional information on Caravaggio that I had to grapple with. Andrew Graham Dixon, in his book on Caravaggio entitled; Caravaggio: A Life Sacred and Profane, uncovers additional, rather unsavoury aspects of Caravaggio’s life and character. 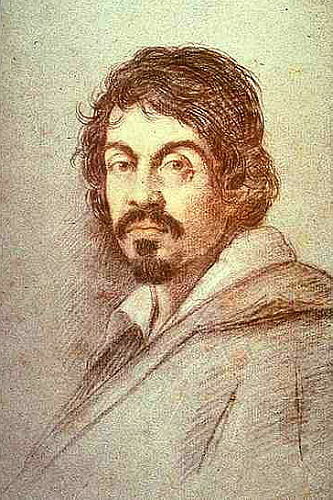 Based on in-depth perusal of documents, including court documents, pertaining to incidents in Caravaggio’s life, Dixon suggests that Caravaggio was sexually adventurous, may have worked as a pimp and may have had an illegitimate child. He also believes that Caravaggio did not die of malaria but because of injuries sustained from an attack he suffered outside a male brothel, while in exile in Naples. 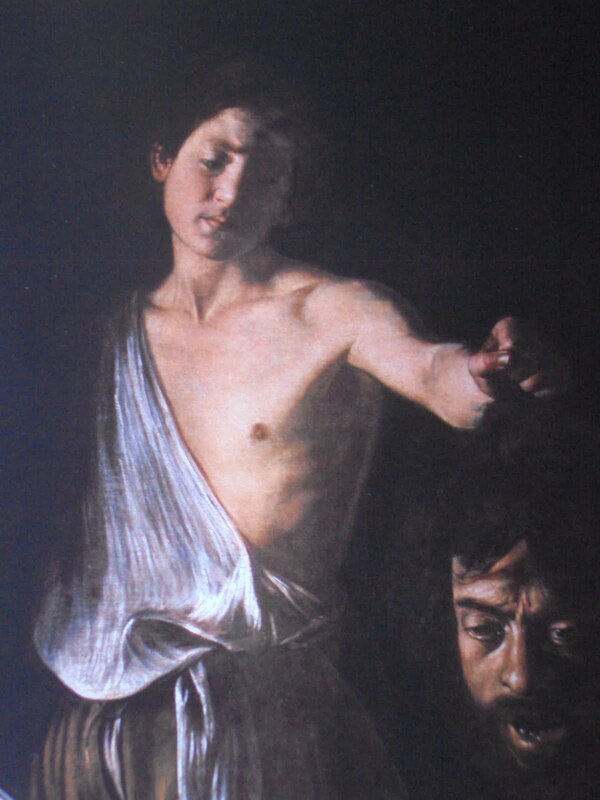 According to Dixon, after the killing in Rome, Caravaggio fled to Malta where he tried to become a Knight of Malta. He was admitted into the order after painting a large altar centerpiece for them. However, because of an altercation with another knight, he had to flee Malta and landed in Naples where he suffered his fatal injury. Additional information of this nature has added to my confusion, my difficulty in accepting the paradox that was Caravaggio. The talent was unparalleled, but the human being was ultimately flawed. This difficulty is not mine alone. Italian scientists announced sometime back that they had found what they believed to be the bones of Caravaggio, which contained very high levels of lead leading them to speculate that he may have been suffering from lead poisoning, thus explaining his erratic and violent behaviours. There is some credence to this because paints and pigments used at the time contained high levels of lead. The “madness” of Van Gough was also attributed by some to lead poisoning. However, these scientists had to recant the announcement when it was discovered that the bones examined could not have been Caravaggio’s. Undoubtedly, his temper was explosive and whether the murder of Renuccio Tomassioni was due to a disputed tennis score or as Graham-Dixon suggested a matter of love, jealousy and uncontrollable lust for a prostitute, Lavinia, who reputedly bore him a son, it certainly points to an uncontrollable impulsivity resulting in extreme acts of violence. And tortured by guilt does he try to atone for this through his paintings? Are some of his paintings an expression of guilt? Or maybe a plea for forgiveness? David with the Head of Goliath. This was painted for Cardinal Borghese between 1609-1610, and is found in the Galleria Borghese. If you look closely, he painted his own face on the head of Goliath. The expression to me in David’s face is neither triumphant nor victorious, it is merely sad. Caravaggio sent this work to the pope hoping to secure his pardon for the murder. I’ve come to appreciate that fully understanding Caravaggio the man may not be possible at this point in time, centuries after the fact, but one thing sure is that he has left us unforgettable images and those we can understand on our terms, we can marvel at, and enjoy!